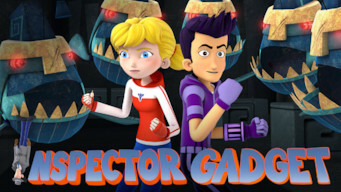 How to watch Inspector Gadget: Season 4 (2015) on Netflix Brazil! Sorry, Inspector Gadget: Season 4 is not available on Brazilian Netflix, but you can unlock it right now in Brazil and start watching! With a few simple steps you can change your Netflix region to a country like USA and start watching American Netflix, which includes Inspector Gadget: Season 4. 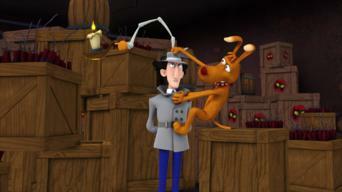 We'll keep checking Netflix Brazil for Inspector Gadget: Season 4, and this page will be updated with any changes. 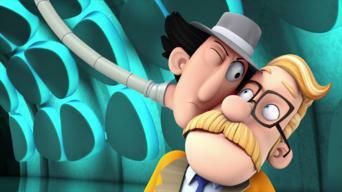 Inspector Gadget: Season 4 is not available in Brazil BUT it can be unlocked and viewed! Inspector Gadget is back and must face his old enemy, the evil Dr. Claw, who has reactivated MAD, his global crime syndicate. Extending arms, built-in roller skates, rockets shooting out of his head. You'd think he could catch a guy with a claw. Season 1 of Inspector Gadget has 14 episodes. Because different Netflix countries have different availability for episodes, you'll need to check the episode listing below to see which are available in Brazil. Dr. Claw returns from the Antarctic, drawing Inspector Gadget out of retirement; Penny and Gadget race to find Dr. Claw's claw before he does. Dr. Claw plots to take over every satellite in the sky; astronauts are vanishing from the Multinational Space Station, and Gadget must find out why. Gadget provides security for a pop star whose army of fans proves an attractive target for Dr. Claw; Gadget protects an invention from MAD thieves. 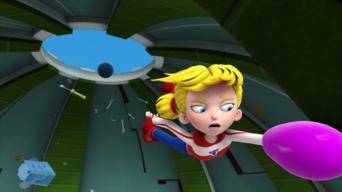 Gadget, Penny and Brain investigate the disappearance of a movie star; when Gadget catches the flu, Penny and Brain must track down a super villain. Brain and Penny go undercover at the Dog & Boney show; Gadget, Penny and Brain visit an apple farm where MAD is growing a race of mutant fruits. Gadget and crew infiltrate a vacuum cleaner convention; Talon tries to prove himself to his uncle by attempting to steal Dr. Claw's training claw. Gadget ingests a device that's set to explode; Penny and Gadget go to a MAD convention, where Gadget stumbles into an anger management seminar. Gadget, Penny and Brain search for the Lost City of Diamonds; Dr. Claw hires the Cuckoo Clockmaker to freeze time at a conference in St. Moritz. Gadget, Penny and Brain travel the to Canadian Arctic to visit a town of happy Gadget fans; MAD stages a high school reunion for Gadget and his pals. Dr. Claw and his mother devise a donut recipe meant to put the world into a stupor; Dr. Claw hires an evil magician to make Gadget disappear. Dr. Claw wants to steal a futuristic UltraBlimp; Dr. Claw gets everyone so addicted to a mobile game that they will perform evil acts to win MADcoins. Dr. Claw plans to destroy Gadget with a device that causes Penny to keep reliving the same bad day; Gadget, Penny and Brain go on a Kenyan safari. MAD and HQ race to get control of Dr. Claw's dangerous -- and sunken -- submarine; Inspector Gadget goes undercover as a wrestler and fights to win. Gadget accidentally awakens a race of automatons buried beneath Easter Island's giant heads; Gadget and Penny enter a prestigious car race. Season 2 of Inspector Gadget has 12 episodes. Because different Netflix countries have different availability for episodes, you'll need to check the episode listing below to see which are available in Brazil. The crew searches a Tibetan monastery for the Helmet of Thought, which gives the wearer incredible mental powers; Talon hijacks an ultramodern train. 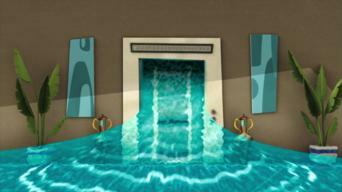 Dr. Claw plans to use radio waves to melt the polar ice caps; Dr. Claw plots against a party where he was snubbed, dousing it in water from Loch Ness. The gang hunts for a missing archeologist who vanished near the Fountain of Youth; Gadget is invited to deliver a speech at Evil University. Brain gets a dose of MAD's new serum and turns into a werewolf, hunting down Gadget and Penny in London; Talon fills in for the vacationing Dr. Claw. 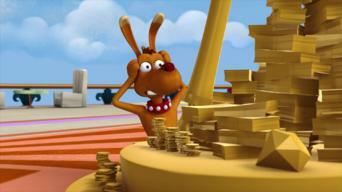 Talon and Penny must work together when they each find half of a map to the lost city of Atlantis; Dr. Claw steals the largest penny in the world. 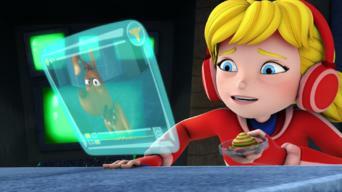 In order to break into HQ, MAD creates an evil clone of Penny; Gadget signs up for a dating site and is matched with Sue Donym, an agent of MAD. Talon shrinks himself to steal Gadget's schematics -- and a soup recipe; Dr. Claw creates a device to turn off all the world's electronic gadgets. Dr. Claw sends Talon to Hawaii to trigger a volcanic eruption; Dr. Claw tries to shut down Broadway by producing the worst show ever staged. Gadget and his crew go to Australia to prevent Talon from carving Claw's face into Ayers Rock; MAD uses a device to switch Brain and MADcat's bodies. 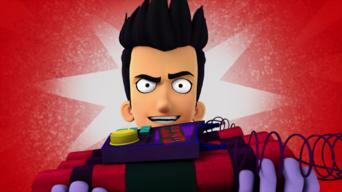 Using his superior coding skills, Talon traps Gadget, Penny and Brain in the MADtrix; Gadget's team competes on a Japanese game show hosted by MADcat. 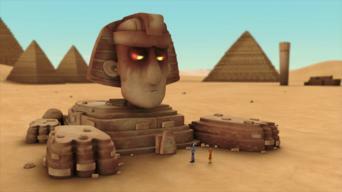 Gadget's crew dodges mummies to stop Dr. Claw from sinking the pyramids of Giza; The gang time travels to stop Dr. Claw from becoming even more evil. 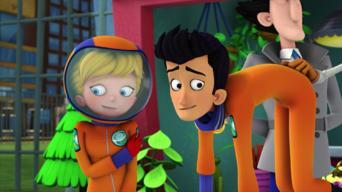 The crew meets their Russian counterparts while in Russia to stop Talon from stealing ice blocks; Talon plants a freezing device on the Gadget-bus. Season 3 of Inspector Gadget has 13 episodes. Because different Netflix countries have different availability for episodes, you'll need to check the episode listing below to see which are available in Brazil. Dr. Claw crafts a plan to clone a T. rex and unleash a prehistoric army; Talon dons a 10-gallon disguise to kidnap Chief Quimby and take over HQ. MAD's evil plot to silence the world sends Gadget and the gang to the opera; A MAD-crafted mutagen turns ordinary plants into monsters. Penny's forced to fight crime the old-fashioned way when Gadget's blunders put HQ in the poorhouse; Talon sneaks into HQ dressed as a Sweetie Scout. Gadget's sent to keep the peace between two nations on the brink of war; Talon tries to steal Mr. Security, HQ's new superintelligent computer system. Gadget cooks up a plan to catch culinary kidnappers; With the future of the planet at stake, Penny and Talon form a reluctant partnership. MAD taps the Cuckoo Clockmaker for an earsplitting scheme; Penny and Talon enter a medieval tournament to win their way back to the 21st century. Talon's sent to plant a bug at HQ's annual company picnic; Dr. Claw tries to rig a citywide talent show so he'll get to be mayor for the day. Talon turns up the funk to play Gadget's long-lost singing partner; An underground maze of tunnels puts Metro City on the brink of collapse. Gadget goes to Transylvania to stop MAD from stealing the secret to immortality; Dr. Claw concocts a cold-like virus to turn HQ's agents into zombies. MAD sends Talon to a meeting of the minds to drain brainpower from the world's best thinkers; A gloating rival prompts Dr. Claw to get competitive. Baron Von Steeltoe baits Dr. Claw into stealing an ancient voodoo relic; MAD harnesses the power of the moon to drive Metro City's citizens crazy. A mustachioed Talon throws a wrench in Gadget's recertification process; Dr. Claw breeds an army of artificially intelligent alligators. Dr. Claw and Talon cause mayhem with their weather "disrupticator"; MAD plots to steal alien tech from a fallen spacecraft. 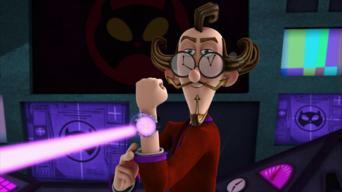 Season 4 of Inspector Gadget has 13 episodes. Because different Netflix countries have different availability for episodes, you'll need to check the episode listing below to see which are available in Brazil. With Talon locked away at HQ, Penny's longtime "frienemy" becomes Dr. Claw's new No. 2; Cosmic energy turns Penny and Talon into superpowered rivals. Dr. Claw plots to end Christmas by destroying all holiday cheer; Gadget and the gang head to the North Pole to find Dr. Claw's favorite "thingy." Talon hopes a chatty junior agent will give up HQ's missile defense codes; Dr. Claw wants a supersized army ... but winds up with a really big cat. MAD makes plans to break the most important law of all -- gravity -- and send everyone else floating into space; Talon accidentally clones himself. 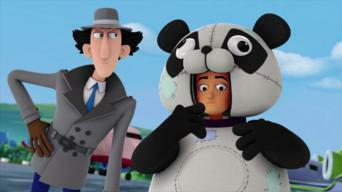 Gadget goes Hollywood to stop MAD from stealing a celebrity's star power; Talon puts on a panda suit to disrupt an important peace summit. Under the MADnight Sun / Skyrates Off the Starboard Bow! 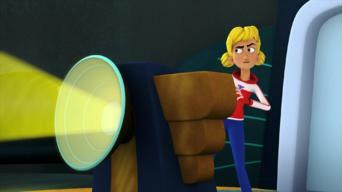 Gadget and Penny rely on their senses to stop MAD when they're called into action on a camping trip; Talon dresses like a pirate to hijack a blimp. Dr. Claw sends Talon to kidnap the Oracle of Delphi so he can see into the future; Gadget goes to New York City to disable a hypnotic MAD device. A perma-disguisinator transforms Talon into Penny -- and gives the real Penny a mustache; A MADthuselah Machine turns Penny into a senior citizen. Talon attempts his own evil scheme while Dr. Claw's away at an anger management seminar; MAD steals Metro City's water supply. 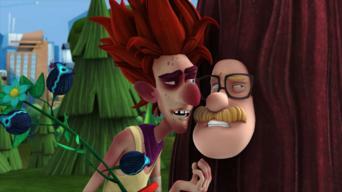 The new and improved MAD Weed Wacko loves trees so much that he wants to turn everyone into one; MAD plots a high-speed heist aboard a prison train. Talon poses as a DJ to drop sick beats -- and doom -- at the annual HQ ball; Dr. Claw sends Talon to Egypt to harness the power of the Sphinx. Dr. Claw orders Talon to hop on a comet and steer it straight toward Metro City; At the hospital, a MAD-made bandage controls Penny's every move. Gadget goes to jail when Talon frames him for shoplifting; A MAD device resets Gadget's memory, making him even more scatterbrained than usual.